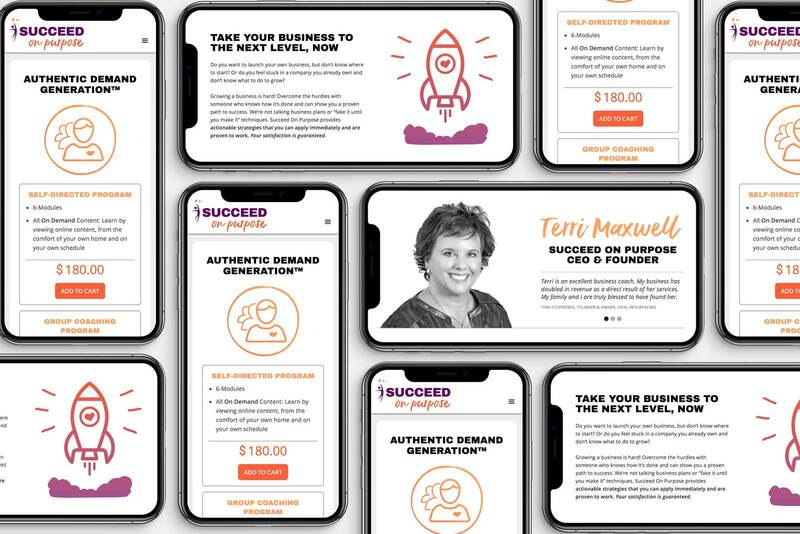 Terri Maxwell, the CEO of Succeed On Purpose, wanted to take her already successful business to the next level by getting a brand facelift and a new website. 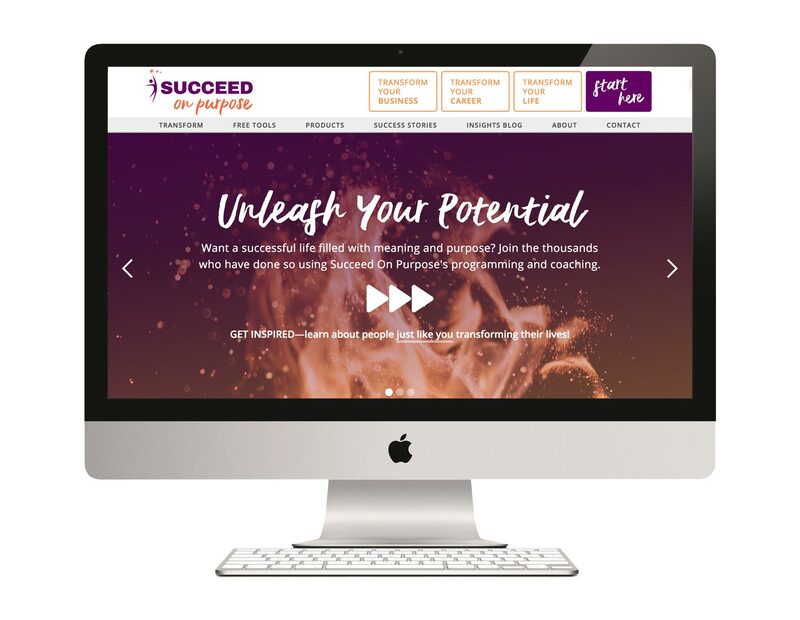 Whether you want to transform your career, your business or your entire life, Succeed On Purpose has a program to get you where you want to go. To take the brand to the next level and reach a wider audience, a new website was created to inspire customers to take that next leap in their own evolution. 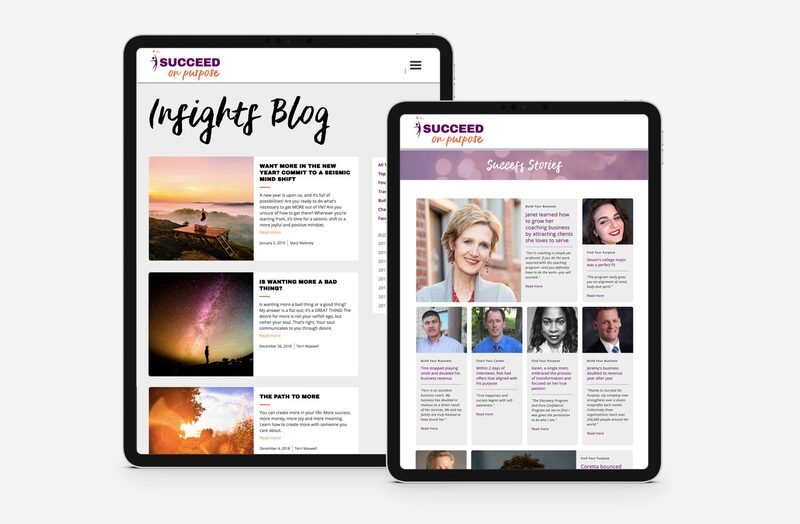 A Success Stories section was developed to highlight the achievements of Succeed On Purpose's customers. Photos and stories of actual clients were used to emphasize the effectiveness of the training programs. A robust blog platform was also created that enabled multiple authors to post articles that had customizable call to action buttons to linked to the multiple different lead generating tools throughout the site. From custom quizzes to free programming, the blog served to connect the right people to the content they were most interested in. The site had to integrate several third party applications, such as Shopify ecommerce, webinars, multiple lead generating contact forms, and custom quizzes.